Tata Tigor in 2019 starts at the price of Rs. 27.25 lakhs in Nepal. Sipradi Trading Privated Limited, sole authorized dealer of Tata cars in Nepal, is currently selling 5 variants of Tata Tigor through its extensive network of showroom and dealers throughout the country. All of its variants come with 1.2L petrol engine. Variants of Tata Tigor include Revotron XE , RT XE with PW & TS, Revotron XT, Revotron XZ and Revotron XZO. Note: Tata Tigor price list was last updated on February 12, 2019. 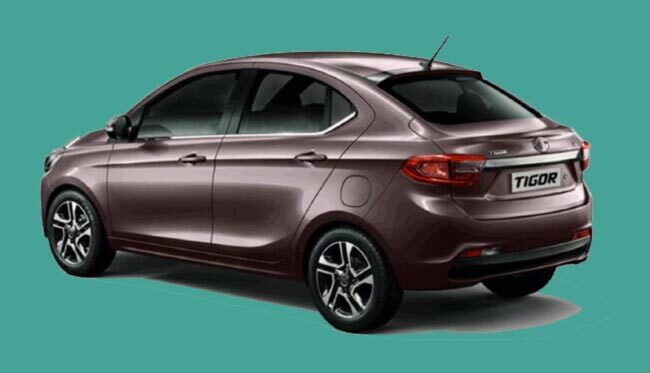 Tata Tigor is a subcompact sedan car manufactured by Indian automobile company Tata. While sedan cars are not so popular in Nepal due to its length, Tigor is comparatively better due to its compact nature. This makes it suitable for the narrow roads or gully in Nepal. Tata Tigor comes with 1199cc petrol engine with 5-gear system. It has good boot space of 419 liter which should accommodate your luggage. With seating capacity of 5 and spacious backseat, Tigor is quite comfortable for taller guys with long legs as well. Tata Tigor has fuel tank capacity of 35 liters and ground clearance of 198mm. It gives the maxium power of 84 bhp @ 6000 rpm and maximum of torque of 114 Nm @ 3500 rpm. Like Nexon, you can drive Tata Tigor in various modes such as Eco and City. While its ARAI mileage is around 20 kmpl, which is calculated ideal standard condition, it should comfortably give mileage of around 13 kmpl in city. Its suspension will well handle the pits of roads in Nepal. While we don’t recommended you to purchase it for intense off-road adventure, you can use it for long drive. Tigor is a good vehicle to buy if compact sedan is what you love given its affordable price range in Nepal. You can message us your queries regarding Tata Tigor price in Nepal or its specifications at our Facebook page.